Following on from the success of Hilton Bangalore Embassy GolfLinks, the Embassy Group, India’s leading real estate developer, today announced the signing of a management agreement with Hilton for its second hospitality project – A 586-room dual-branded hotel within the Embassy Manyata Business Park that features a Hilton Hotels & Resorts and a Hilton Garden Inn brand hotel. This will be one of the largest dual-branded hotels in India. 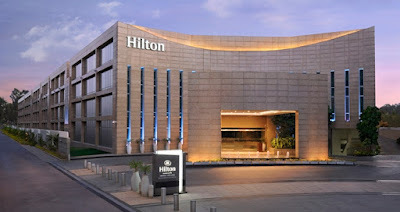 It will be developed and owned by the Embassy Group and managed by Hilton. The hotel’s plan and design are in an advance stage of finalisation, targeted to start construction by 2017 and to be completed by 2020. The hotel will be part of a mixed-use development which will also house a Food and Beverage hub and two commercial towers. The entire complex will sport an iconic design by the Singapore based Andy Fisher Workshop. The dual-branded hotel will comprise 586 rooms in total, with 250 rooms at the Hilton and 336 rooms at the Hilton Garden Inn. It will also feature 46,000 sq. ft. of flexible Meetings and Events space that accommodates up to 1500 people. On signing the agreement, Guy Phillips, Senior Vice President, Development – Asia and Australasia, Hilton, said, “We are very pleased to extend our strong partnership with the Embassy Group and bolster the success of the Hilton Bangalore Embassy GolfLinks through the management agreement for a 586-room dual-branded hotel project featuring two brands – our flagship Hilton Hotels & Resorts brand and popular upscale Hilton Garden Inn brand. We continue to see increasing brand awareness across our brand portfolio in India and this agreement underscores our long-term commitment to this country as a strategically important market where we now operate 15 hotels across 11 cities covering most major markets in the country”. 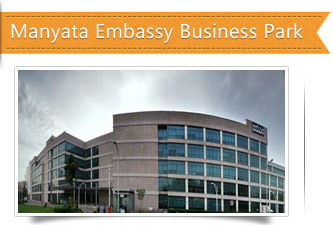 The dual-branded hotel at Embassy Manyata Business Park will offer an exceptional location, spacious and distinctive accommodation and the complete range of business and recreational facilities and services. This will be complemented by the assurance of quality that Hilton offers. The hotel will be an iconic destination for people working within the 58 international corporate occupiers housed in the Business Park, for people living in the high growth North Bangalore micro-market, and for business travellers who live and work in the city for extended periods of time.